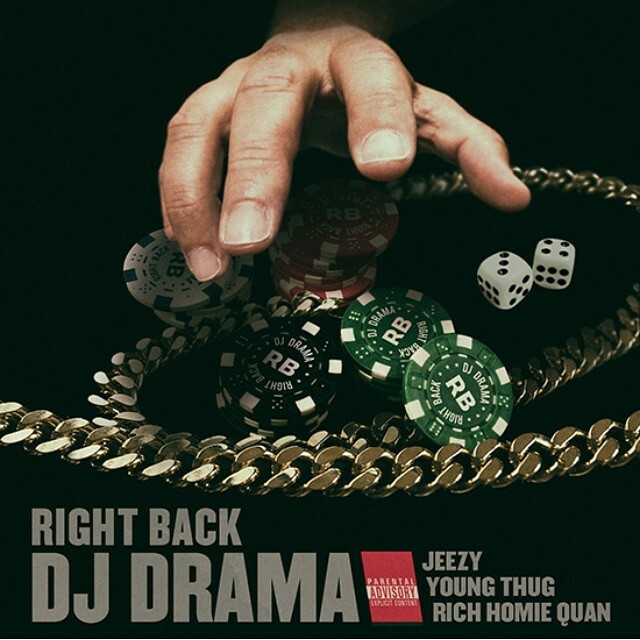 Its been a year since Mr. Thanksgiving has blessed the streets with some hard music to ride out to but today, DJ Drama puts an end to all that with the release of his new single “Right Back” connecting with Young Thug, Young Jeezy and Rich Homie Quan. While his “4 What” single didn’t quite turn out to be the big success like the international hit by Lil Jon, Drama made sure to deliver with “Right Back” which serves as the first single from his Quality Street Music 2 album. With the help of the three Atlanta artist, Drama is for sure to shake up the streets with this one until his new album drops.